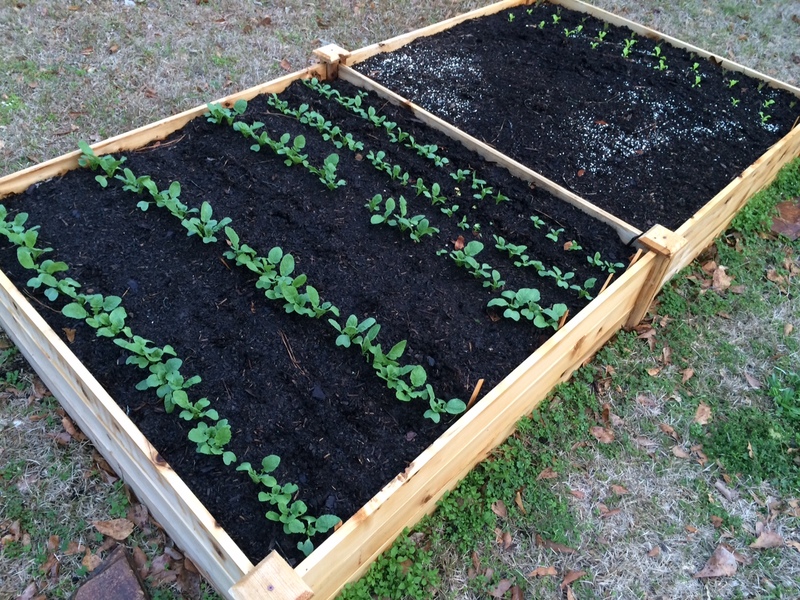 Raised beds are an excellent way to get started with gardening. Photo by Molly Jameson. 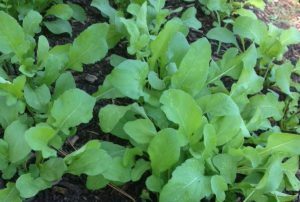 One of the biggest obstacles a vegetable gardener faces is how to supply crops with healthy soil that can support crop growth all season long. Many native soils in Florida are stripped of imperative nutrients that crops need to grow, are too compacted from vehicle and foot traffic, and are often too sandy to support soil life, which is very important for nutrient cycling, building soil structure, and combating pests and diseases. 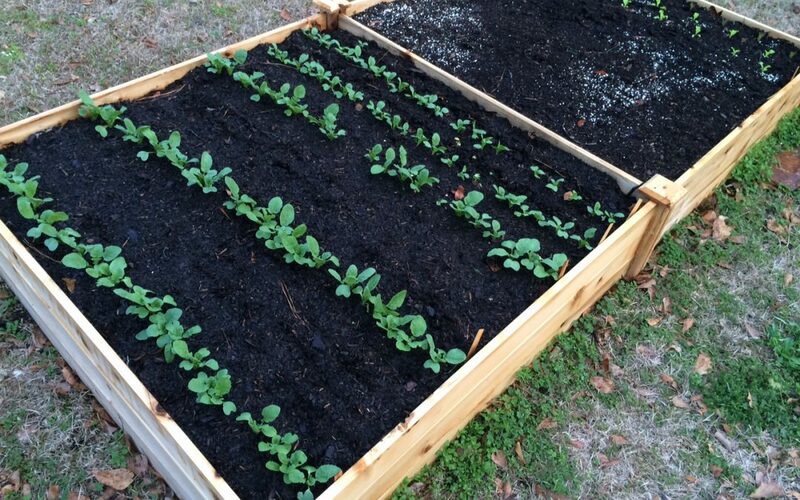 One of the best ways a gardener can ensure a successful gardening experience is to build a raised bed garden. No matter your native soil type and existing conditions, raised bed gardens allow a framework for building nutrient rich soil that can supply crops with what they require to grow healthily and thrive. Want to learn how to garden using raised beds? 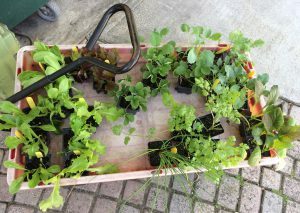 On February 5, from 6:00 to 7:30 p.m., UF/IFAS Extension Leon County is offering a Raised Bed Gardening 101 workshop as part of the Red Hills Small Farm Alliance’s Seven Days of Local Delights. 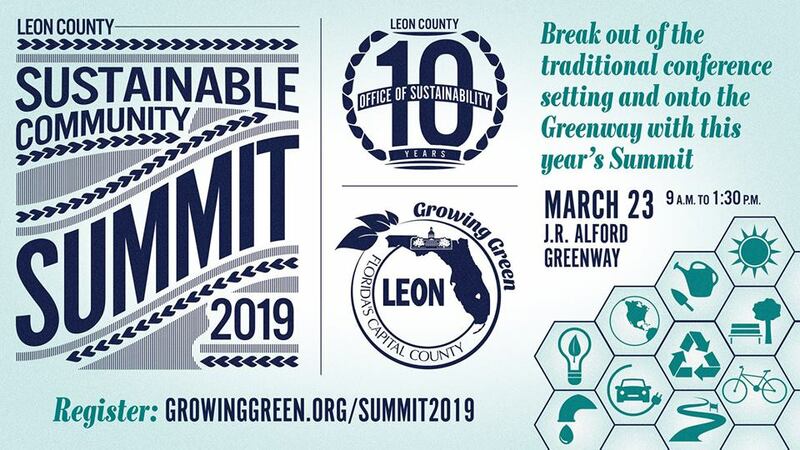 This is a week-long annual celebration that includes educational workshops, restaurant partnerships, fundraisers, and more that supports the local food community and farmers in the Red Hills Region. This year, the Seven Days of Local Delights runs from Sunday, February 3 to Sunday, February 10. A trellis can even be built right on the end of a raised bed. Photo by Molly Jameson. At the Raised Bed Gardening 101 workshop, learn how to choose the best raised bed garden site location, basics of irrigation in raised beds, planting dates and plant spacing, the difference between treated and untreated lumber, how much and what type of soil to use, and other tips on growing food in your backyard. There is no cost to attend, but please register on Eventbrite (https://sdldraisedbedgardening101.eventbrite.com). For more information, contact Molly Jameson at mjameson@ufl.edu. 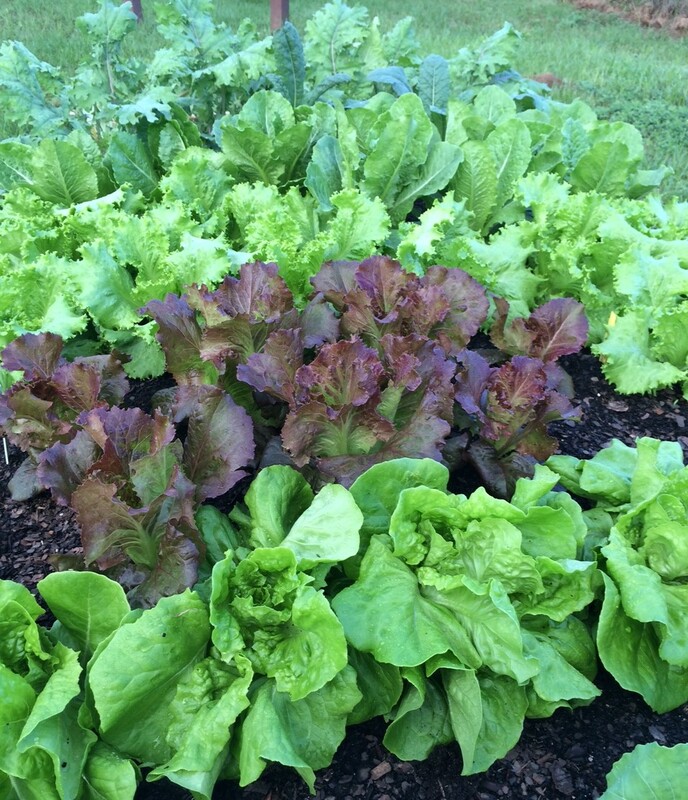 Check out everything going on during the Seven Days of Local Delights at the Red Hills Small Farm Alliance website: https://www.redhillsfarmalliance.com/seven-days. 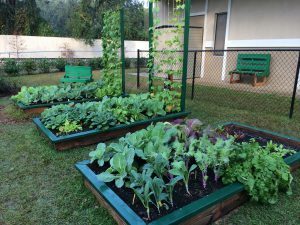 If you are not in the Tallahassee area, check with your local extension office to see what gardening events they may have available and how you can support your local food community and farmers in your area. 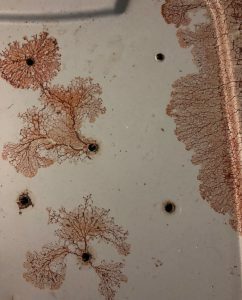 The plasmodium of Fuligo septica slime mold consuming bacteria and fungi inside the office worm bin. Photo by Molly Jameson. Fuligo septica moves as a mass of protoplasm about a millimeter an hour. Photo by Molly Jameson. 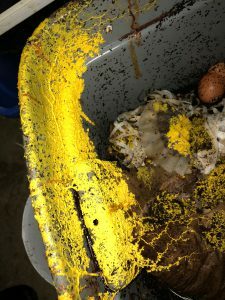 Turns out our slimy yellow visitor was Fuligo septica; a species otherwise known as – and here’s hoping you’re not eating – dog vomit slime mold. A fitting name, indeed. To our amazement, Fuligo septica is not actually a mold (aka: fungus). Nor is it a plant, animal, or bacteria. It is actually a plastid, in the kingdom Protista and class Myxogastria, whose wind- or insect-spread spores converge and divide into a singular giant cell containing millions of nuclei, known as a plasmodium. These individuals come together to form a larger plasmodium and move as a mass of protoplasm, about a millimeter per hour, to feed on microorganisms living in decaying plant material. After a few days, Fuligo septica transforms into a pillow-like fruiting body in preparation for spore dispersal. Photo by Molly Jameson. 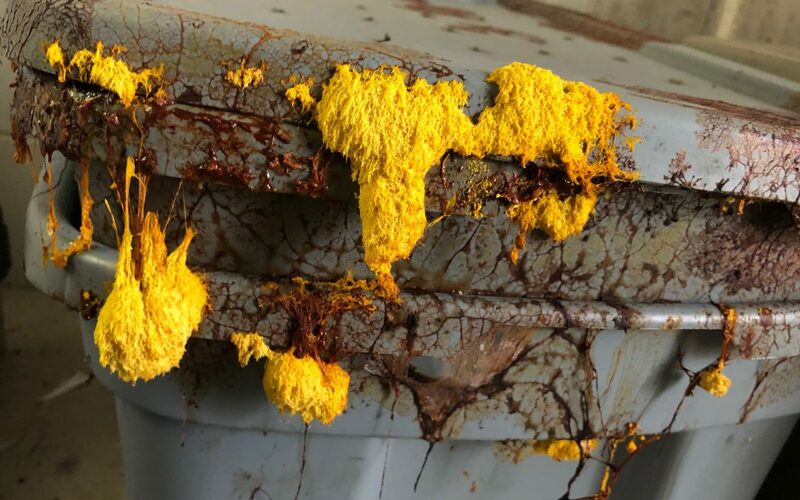 Besides the potential of Fuligo septica spores to be an allergen to those who are susceptible, this surprisingly common slime mold is not toxic to people, plants, or animals. It can be found on rotting bark and forest floors in nature – or on wood mulch in urban areas – normally when conditions are moist. 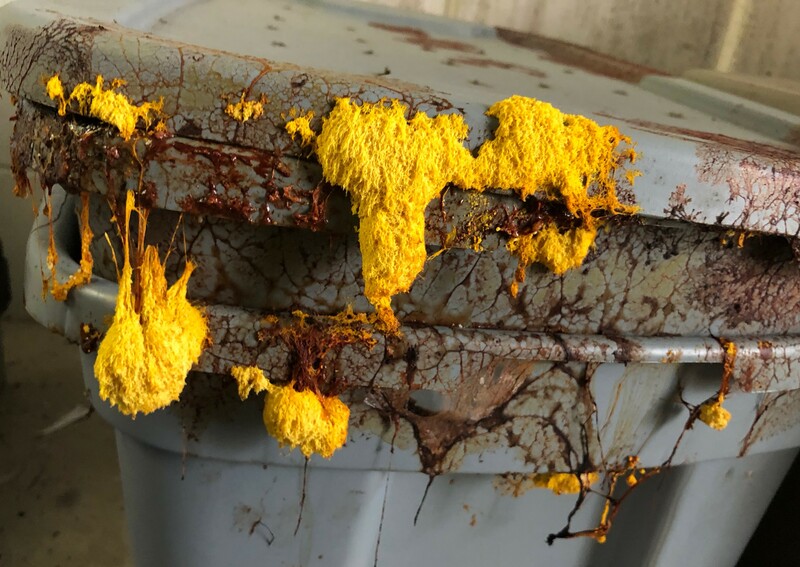 The microorganisms the slime mold consumes are mainly bacteria and fungi, which are also very much present in the decaying food scraps and coffee grounds within a worm bin. And although Fuligo septica is harmless to people, it needs to watch out for us, as it is actually edible! 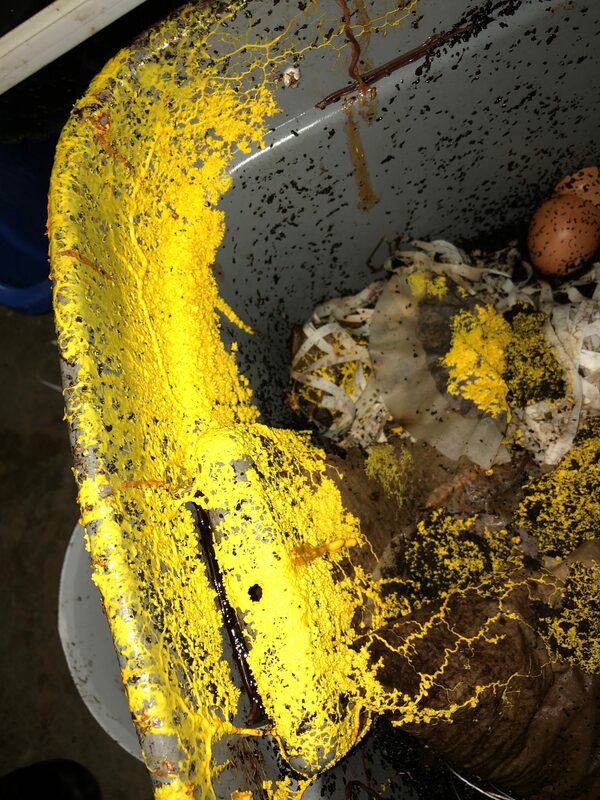 Appropriately, another name for dog vomit slime mold is scrambled egg slime, as indigenous people in some areas of Mexico have collected the mold and scrambled it like eggs. Breakfast anyone? As the slime mold degrades, it darkens to a pinkish tan color, and releases its spores into the air. Photo by Molly Jameson. 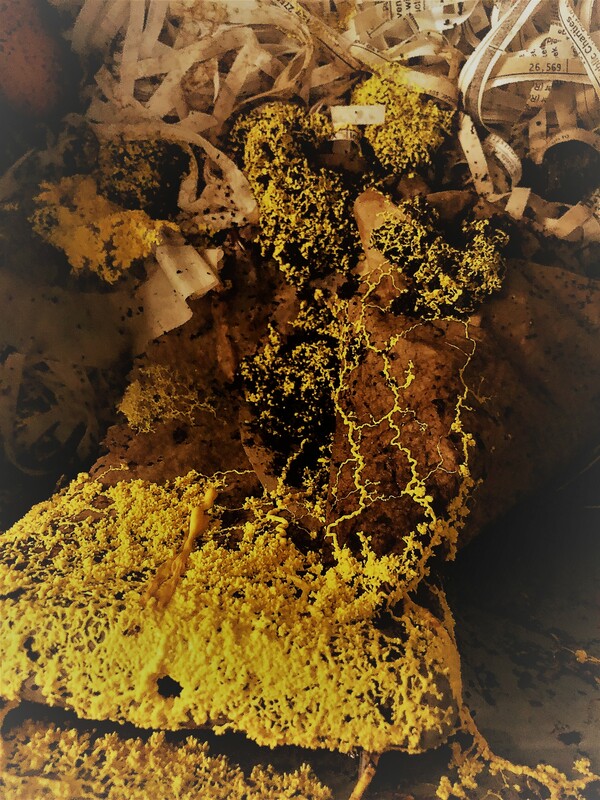 Slime molds have stood the test of time, as analyses of their DNA has revealed they’ve been on Earth approximately a billion years! For reference, that’s hundreds of millions of years before plants or animals. And it’s a good thing Fuligo septica is here, because some of its characteristics has shown a lot of potential to be helpful, including as antibiotics, an ability to fight cancer cells, as antimicrobials, and environmental site remediation due to its ability to hyper-accumulate toxic heavy metals, such as zinc, and convert them to inactive forms. Scientists have discovered it’s the same yellow pigment that gives Fuligo septica its striking color that also forms a chelate with the heavy metals.